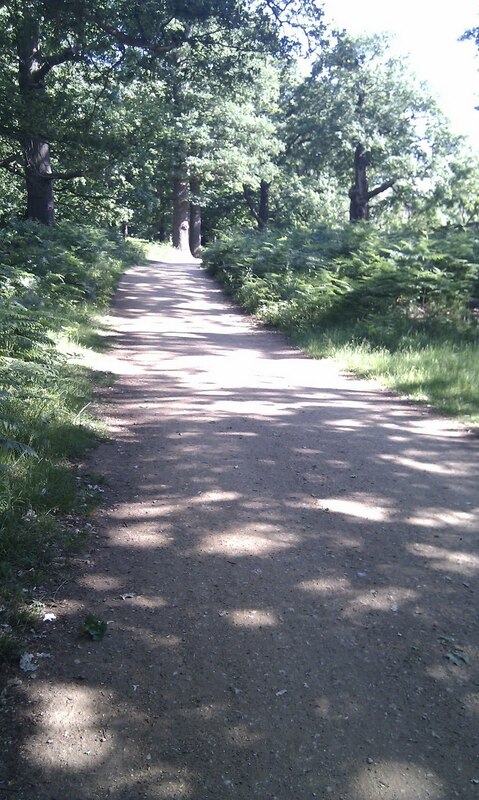 There are moments in my expat life that make me realise how much I love living here in the UK. I am lucky enough to live in beautiful Kingston Upon Thames – a completely accidental find about a year after I arrived – just a 25 minute train ride from London and right by the river (hence the Upon-Thames part of the name). 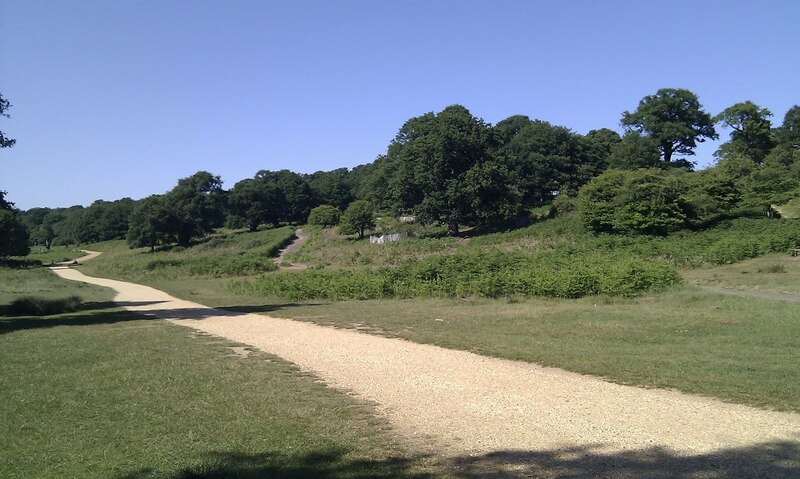 I am up on Kingston Hill – apparently quite a posh bit (so my landlord says in justifying the price of the ‘cosy’ flat I am in!) 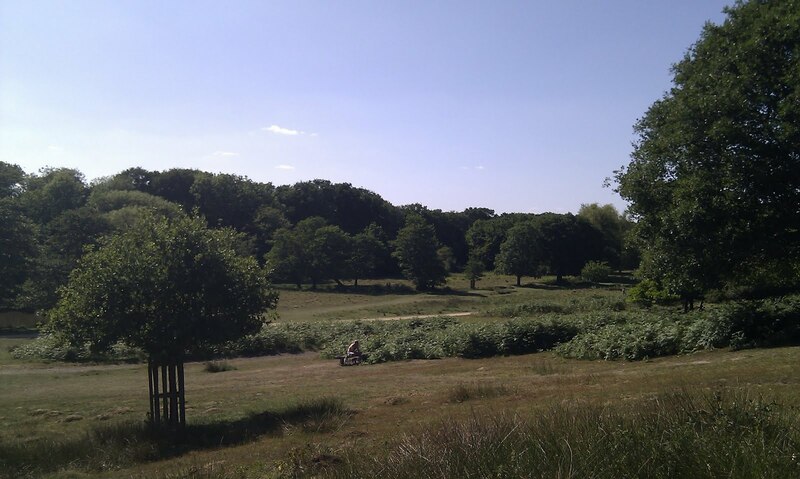 and only a short walk away from one of London’s most wonderful Royal Parks, Richmond Park. Hanging around at home on my little staycation this week has meant that I’ve been able to visit a few times and just enjoy it in the British half-term sunshine. 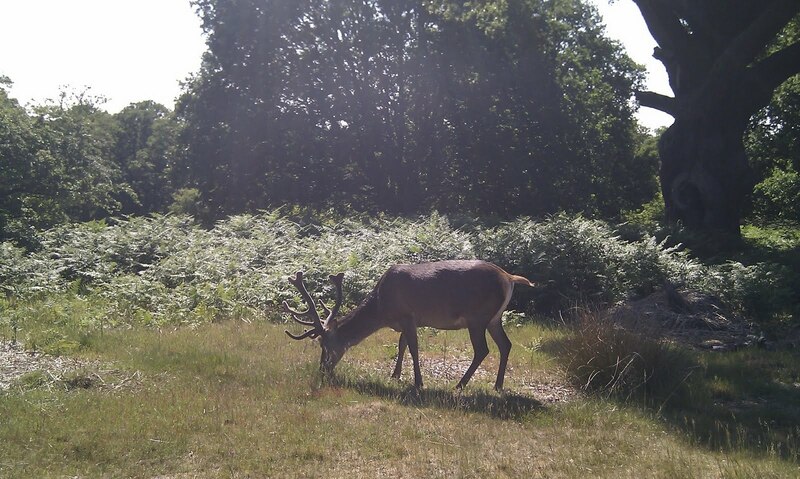 And on today’s walk, the camera on my phone got a bit of a workout. Then this view of the lone bench-sitter really gave a sense of the scale of the view. 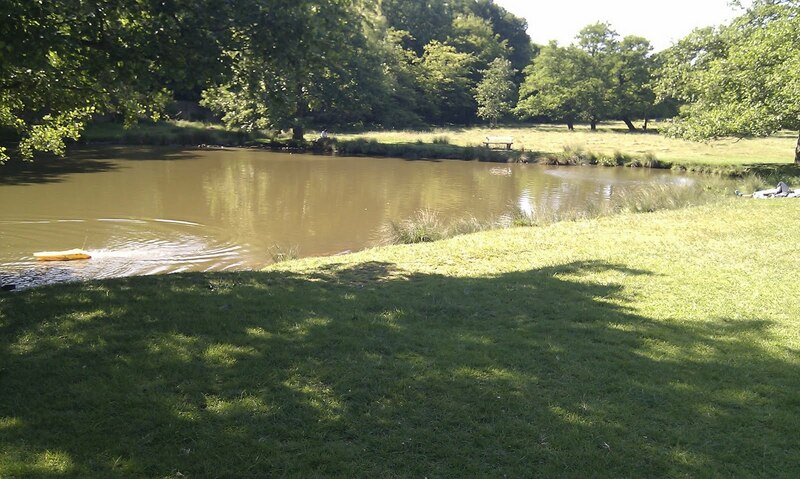 …and Ham Gate pond is gorgeous. 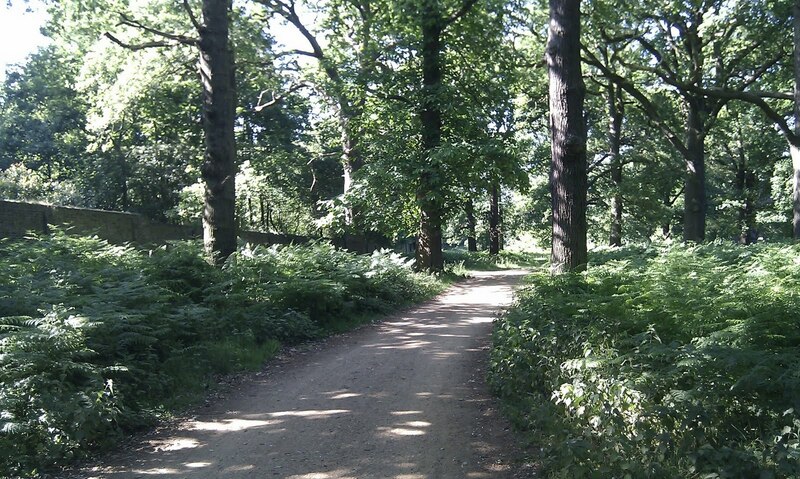 And the final stretch back to Kingston Gate is just perfect for meandering and enjoying the solitude. I came home smiling and relaxed (and a little damp with perspiration from the ‘heat’ and the final walk home up the hill). You know, there’s lots of talk these days about ‘going somewhere’ – on holidays, at work, in life generally. But I love days like this. They remind me to just enjoy the journey…and that the destination more often than not, will take care of itself. Hope this inspires you to find the magic in your great outdoors. 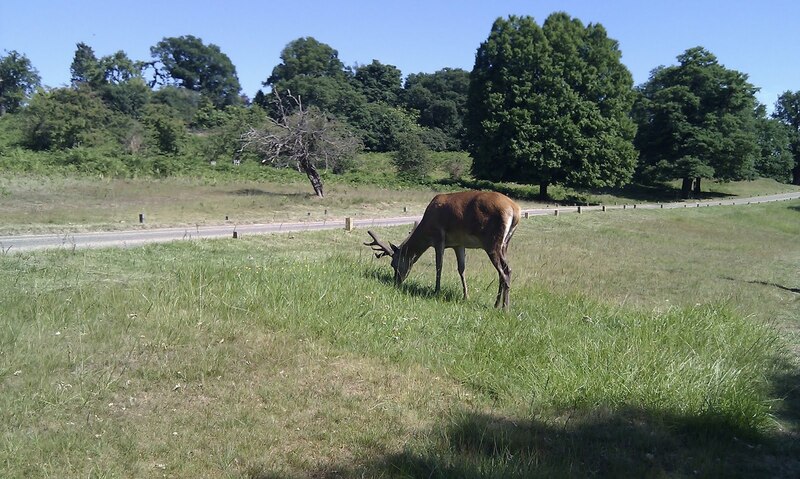 This entry was posted in Inspired by, Life in the UK and tagged deer, Life in the UK, Richmond Park by Kym Hamer. Bookmark the permalink. Ladies, thanks for stopping by for a little Gidday meandering…it was my pleasure and I am glad you enjoyed it. Great post! I had a day like that yesterday. I intentionally forgot all about the “stuff” I needed to do and spent the day outside with my boys enjoying the gorgeous Aussie sunshine.